​In the 1870s this was a bakers and confectioners, run firstly in 1871 by Mrs H Barnes and then from 1872 to 1877 by Mr Harding. Curiously, the name of Harding is repeated several times in the trading history of this street, deserving further research. ​By the early 1880s the trade had changed to a greengrocery in the hands of Mr C. Cowley. The bakery trade returned in 1887 when Mr Alfred John Thomas set up shop here. In March of that year there was a serious fire in the shop caused by a gas leak. 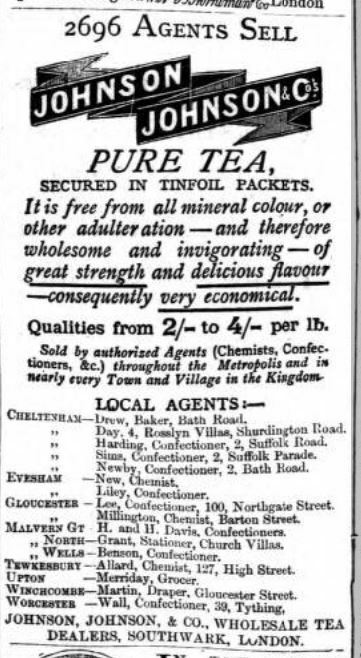 Unfortunately Mr Thomas suffered further misfortune in 1890 when he was declared bankrupt and all of his household furniture, the baking utensils and a quantity of sweets, sugar, tea fruit, jams and pickles were put up for sale and he and his wife and family were turned out of their home. 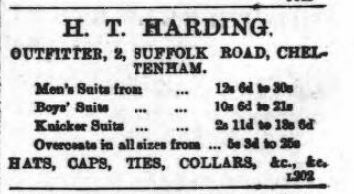 ​Within a few months Harry Thomas Harding moved in with a completely different trade - he was a hosier and tailor, offering men's suits for sale for as little as 12s 6d (about 62p). This enterprise seems to have lasted for only a short while and may have ceased before the end of 1890. It is probable that Mr Harding was related to the tailor of the same name living next door at number 3. In 1901 the shop was to let and then it entered a very strange period. In April 1902 there was advertised the "American Emporium - Now Open!" In July 1902 a "clergyman" was offering lessons in Hebrew and German at this address, then a Mr Goodman was offering for sale two genuine tickets for the 1857 Handel Festival at Crystal Palace (presumably considered to be collector's items). By December 1902 and into 1903 Mr Goodman was offering a diamond cleaning service, if only people would invite him to call upon them in their homes. In March 1904 George Goodman was summoned to court on a charge of assault during an argument in the house where he had lodged, of which he was exonerated. The lady of the house accused him of being a "swindler" and "trickster". It emerged that Goodman was an alias (or "nom de plume") who also went under the name of Harfield. In addition to the enterprises already mentioned, he had offered to help impart customers with a wonderfully clear voice (for £2 2s) and to develop in them extraordinary athletic powers (2 guineas). At the time of the hearing George Goodman had already left these premises and set himself up as a clothier elsewhere in the town. By 1910 the trade had changed once more to a boot repairer, this business being managed by Mr W.T. Williams. Five years later the house above the shop was advertised for rent by Mr F. Day, a hairdresser and in the following year the shop appears to have been empty. ​In 1919 a cycle repairer and dealer called Edward Henry Tainton took over these premises. In addition to bicycles, at various times he sold motor cycles, prams and lawnmowers. Mr Tainton had left Suffolk Road by the late 1920s and died in Cheltenham in 1936. Then in 1930 came Mrs Doris Edith May Teale, a furniture dealer who sold everything from pianos to dressers. Mrs Teale remained here until 1945. By 1950 the shop had become a ladies outfitter, run first by Mrs D. Roland and then from the mid 1950s until about 1970 by B. Lang. The outfitters had gone by 1975 when this shop was home to Bradbeer's Ornamental Ironwork. 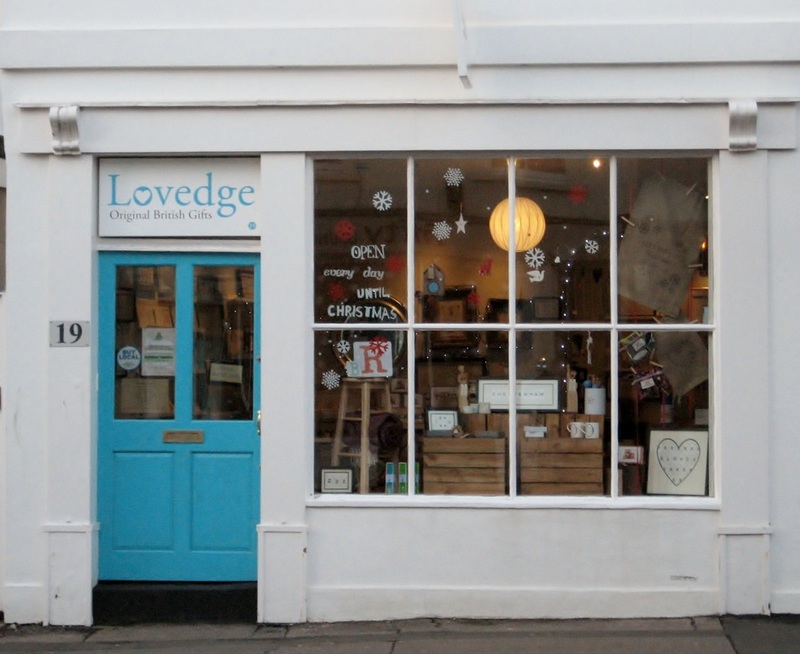 ​Early in the 21st century these premises accommodated Hine Marketing and then from August 2012 until November 2016 it was Lovedge, a shop specialising in British made gifts. 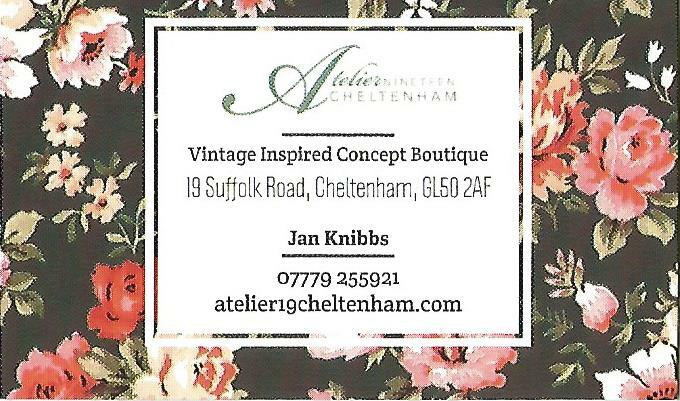 Today we have Atelier 19, a bridal and vintage inspired concept boutique, owned by Jan Knibbs.